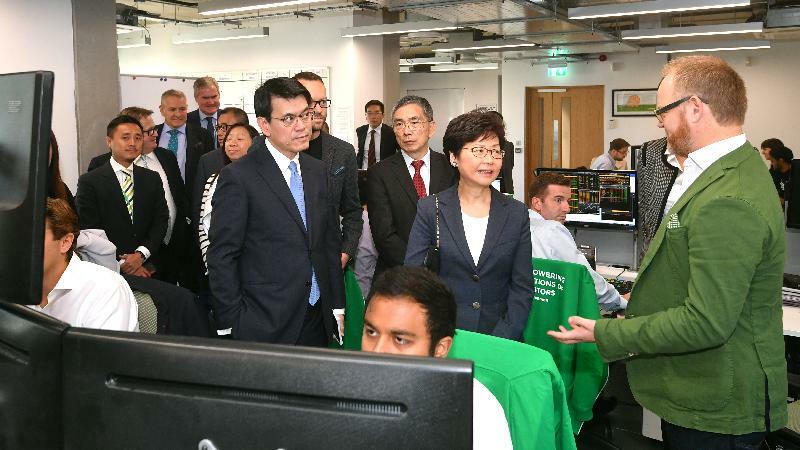 The Chief Executive, Mrs Carrie Lam, continued her visit to London, the United Kingdom (UK), today (September 22, London time). 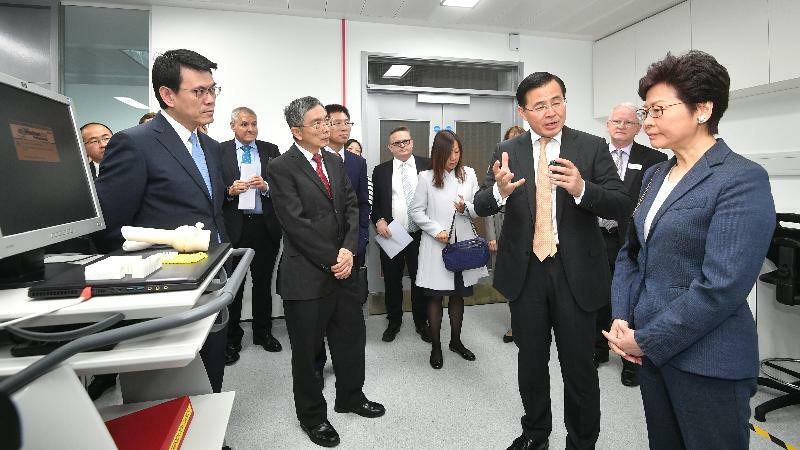 Mrs Lam, accompanied by the Secretary for Commerce and Economic Development, Mr Edward Yau, and the Secretary for Financial Services and the Treasury, Mr James Lau, started the day by visiting the Hamlyn Centre of the Imperial College London. The Hamlyn Centre aims to develop safe, effective and accessible medical technologies. 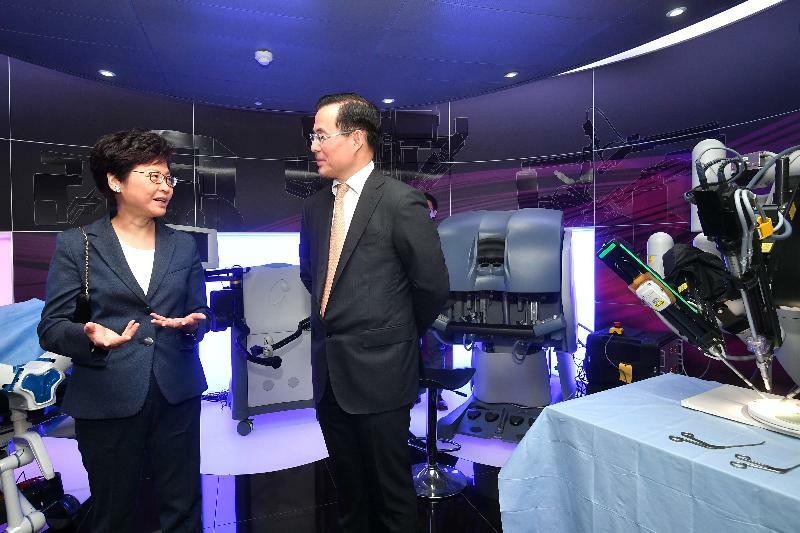 She was delighted that it has established collaboration with the Chinese University of Hong Kong on education and research related to healthcare innovation and biomedical robotics. 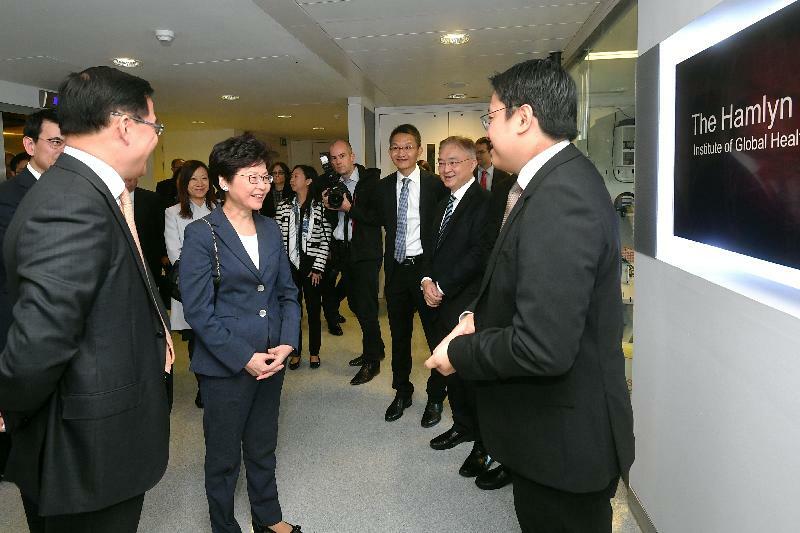 Noting that the current term of the Hong Kong Special Administrative Region Government will spare no effort in promoting innovation and technology, she said she looked forward to the Centre's participation in the future development of this area in Hong Kong. 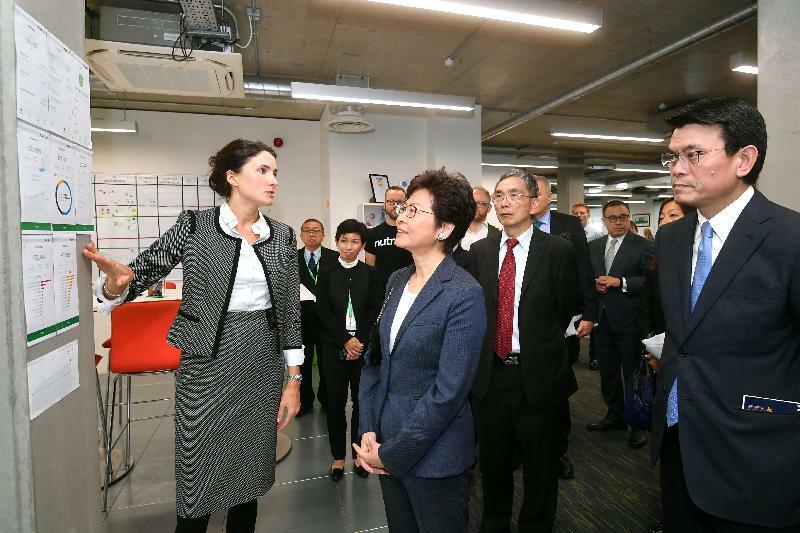 Mrs Lam and the other officials then visited an enterprise involved in online investment management and financial technology (FinTech) in London to know more about the application of technology in financial services. She said that Hong Kong, an international financial centre with highly developed information and communication technology, is an ideal platform for starting FinTec business and that she welcomes the enterprise to launch its business in Hong Kong. 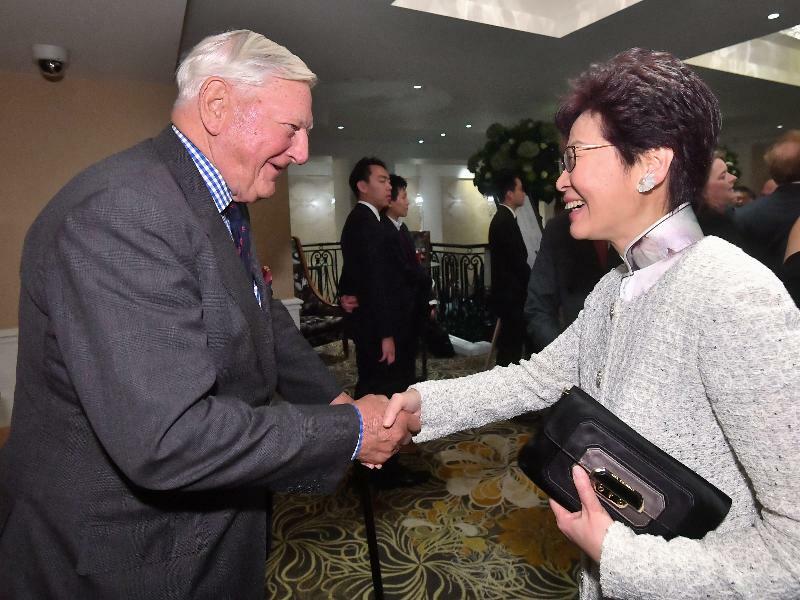 In the afternoon, Mrs Lam and the other officials attended a luncheon hosted by the Hong Kong Association. In her speech, she introduced to the audience Hong Kong's strengths and opportunities, as well as her vision and priority areas of work as the Chief Executive. 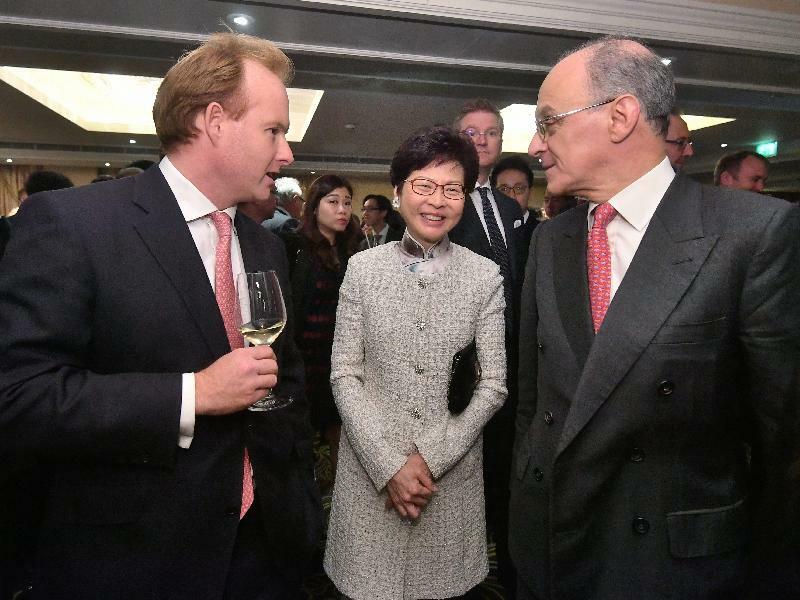 The mission of the Association is to act as a champion in the UK for the long-standing and special links between Hong Kong and the UK, in particular with regard to business and bilateral trade. Mrs Lam, Mr Lau and the Chairman of the Hong Kong Financial Services Development Council, Mrs Laura M Cha, then attended a discussion on asset management and the Belt and Road Initiative with members of the business sector in the UK. Highlighting Hong Kong's leading position as an international asset management centre in the region and its advantages in green finance and infrastructure financing, she said Hong Kong is capable of satisfying the needs of British investors in respect of asset management, in particular for those who are interested in the Belt and Road Initiative. 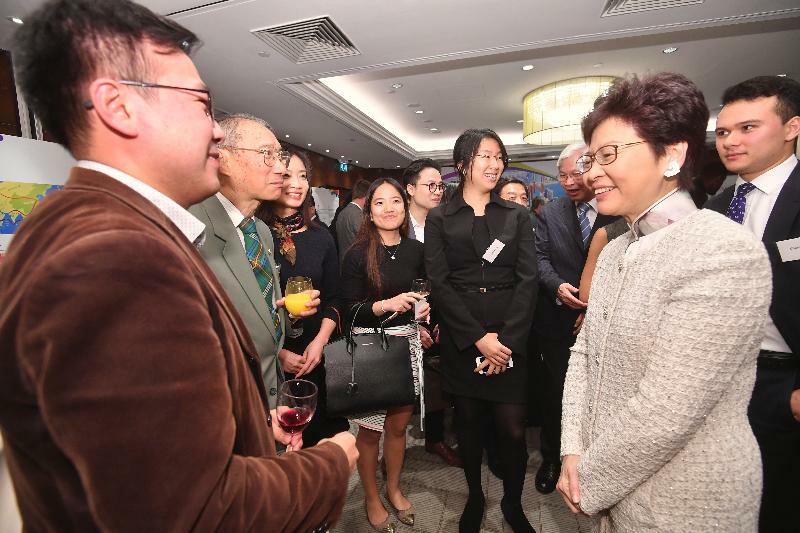 Before concluding her visit to London, Mrs Lam and the other officials met with Hong Kong people living in the UK to learn about their everyday lives. Mrs Lam and the other officials will leave London later in the evening today and arrive in Hong Kong in the afternoon on September 23.